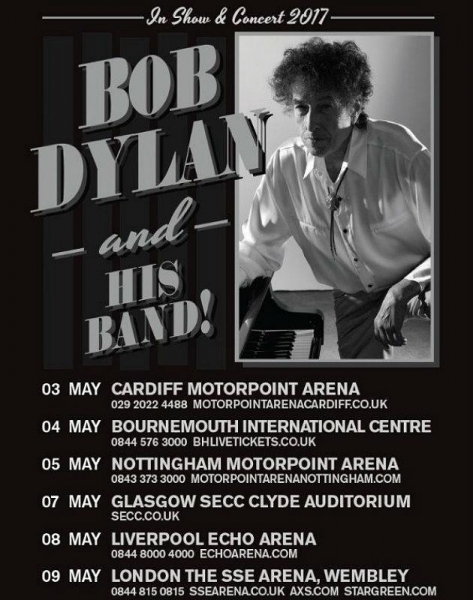 Bob Dylan performing his Never Ending Tour at The Motorpoint Arena Nottingham on Thursday 5th May 2017. Some people go to see an artist because they are huge fans, some go because they are listed on their bucket list and others go because the artist is one of the music industry’s true legends. At the Motorpoint Arena last night there was undoubtedly a mixture of all three who had paid handsomely to see the legend that is Bob Dylan. 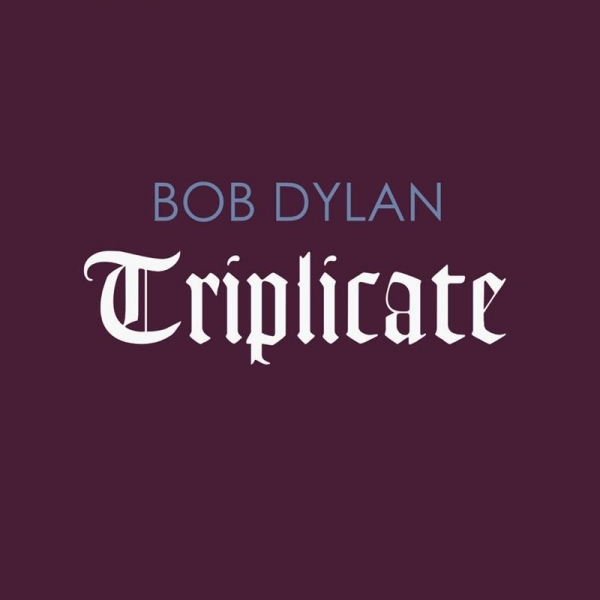 For the loyal fans, their version of Dylan that most of them hold in their minds is that of the time when his star burned the brightest; that being the 60s. But he is 75 now and the days of his protest songs are long behind him. In fact, he last released an album of original material, Tempest, five years ago but he has since then issued three albums of American popular standards, six songs of which featured last night. In complete darkness, the sound of twangy chords from an electric guitar is heard and six silhouettes appear on the stage. As the lights come up, we have the first sight of an unmistakably wiry figure wearing a wide rimmed white hat that conceals his face. Sitting behind a piano at the side of the stage, he sets the tone with Things Have Changed, composed for the 2000 film, Wonder Boys. With a voice that is undeniably gravellier, he continues with To Romana, before he then makes an attempt to attack Highway 61 Revisited. Dividing his time between the piano and centre stage, he disturbingly held the mic stand at an angle crooner style for a cover of Cy Coleman’s Why Try To Change Me Now. Performing a mix of his own classics, there were intense versions of blues burners from the last few decades of his career such as Love Sick and Pay In Blood and there were some heartfelt interpretations of standards such as Autumn Leaves, but anyone there last night who was expecting an excursion into the past will have been disappointed. 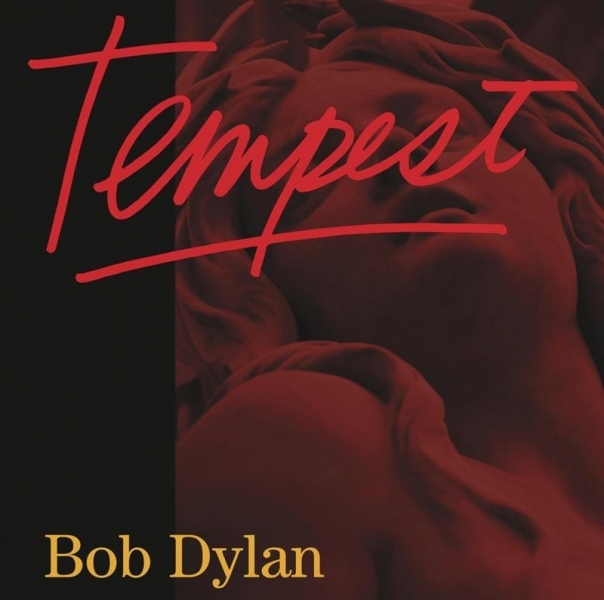 His songs bore only the scantest resemblance in performance to his celebrated recordings, and that was due in part to the loud but supremely good backing band, whose arrangements breathed new life into the songs, but who didn’t do any favours to Dylan’s weak voice as they often drowned him out. Sections of the crowd did whop in appreciation at the opening riffs of Early Roman Kings, but were bemused by his cover of Johnny Mercer’s That Old Black Magic, which was barely recognisable. But he did reprieve himself with the biggest surprise of the night, a funky version of the epic Desolation Row from 1965, which he rarely features in his live shows now. After retreating off stage and returning for the encore, the first of which sounded like another standard until you realised it was Blowing In The Wind, and the final song of the evening was another rarity, Ballad Of A Thin Man. With the cost of the tickets not cheap, Dylan had a lot to live up to, and many felt that he had failed as they voted with their feet and left early. He was either crouched behind his piano or rambled about the stage as though trying to find his way out. Whenever he was on his feet, he never stopped shuffling in a fidgety fashion, bobbing from one foot to another. He never spoke one word, or made any eye contact. He never touched a guitar or a harmonica but for some seeing the legend was surely enough whilst for others, especially those who didn’t stay for the encore, he may be an artist whose music they prefer to buy on CD. At least that way you can either turn the volume up or simply turn it off.